A flattering V neckline with slightly ruched front, batwing sleeves and curved hem give this loose top a brief and chic silhouette which is perfect for this season. The drawstring design to waist is a must-have helps push up your bust and creates a slim waistline. russian on size 52/54, rise 164 cm-4xl bust 107 good. chest обтяг would be a little 3xl may and it would be better. 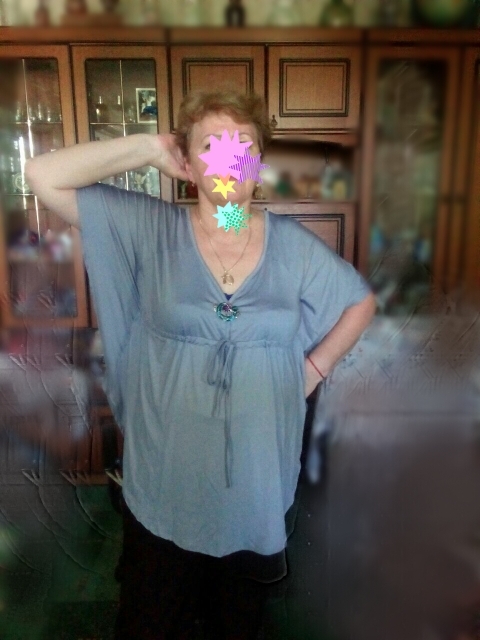 photo брошька прикрепленна neckline in stretch fabric gravity-of-(the version). fabric itself is thick, not backlit. cutout зашью little later bust. like the. fits many things gray. wear shall. region my three weeks. parfait rapide rien à dire. il est beau mais un peu décolleté.